Welcome to SalemComedy.com, your one-stop shop for all things stand-up comedy in the Willamette Valley (and all over the Northwest). 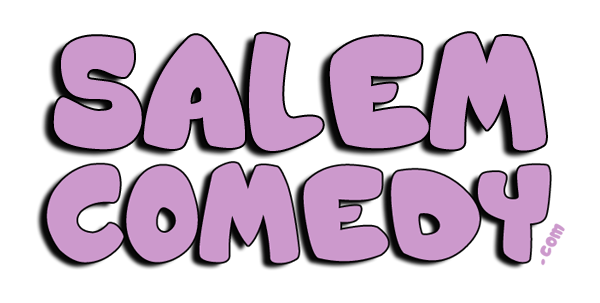 This website is dedicated to listing upcoming comedy shows in the Salem, OR area, with a focus on shows featuring stand-up comedians. Improv, musical comedy and open mic events may be incorporated at some point, but we are currently focusing on traditional stand-up comedy performances and showcases, with an emphasis on professional shows. Stay tuned with us as the Salem comedy scene continues to grow. More Info on This Show Coming Soon! © 2015, 2016 Salem Comedy, 1HRx Entertainment, All Rights Reserved.